My home in Farmington, Utah is pretty close 5-minute drive to the foothill trailheads, but for some reason that I can't explain I am drawn to the ride-in and ride-out real estate possibility. 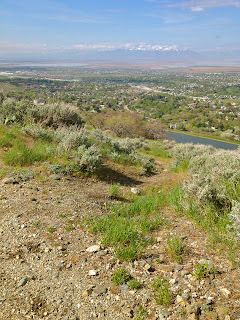 There is a relatively famous trailhead for mountain biking just to the north of my home on 200 North in Kaysville, Utah. 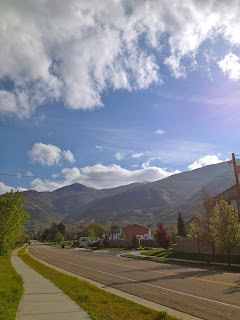 I can connect to it via the trailhead at Bair Creek Canyon nearest my home in Fruit Heights, Utah just to it's south. With all these little towns and trail connections it is not always easy to make it all hook up. However, with a little change in perspective to think of my urban neighborhood in the context of mountain biking I put together a route to create my own way of making my home into ride-in, ride-out mountain biking real estate. ^The first switchbacks of the day came in an urban flavor. Just a slight change in how I looked at it and I realized that the pedestrian bridge was just like a trail switchback, only with a smoother surface. Those surfaces on the sidewalk switchback to the climb of the pedestrian bridge switchback make it a nice smooth warm-up climb. ^Cross over the traffic of Highway 89 and get a little wind in the hair on the first artificially smooth downhill coming out of the "Pedestrian Switchbacks". Keep the right frame of mind and anything can be what you want it to be. In the mornings it is actually a pretty tranquil scene with little traffic and only a smiling old woman with her poodles to contend with. Good company anyways. 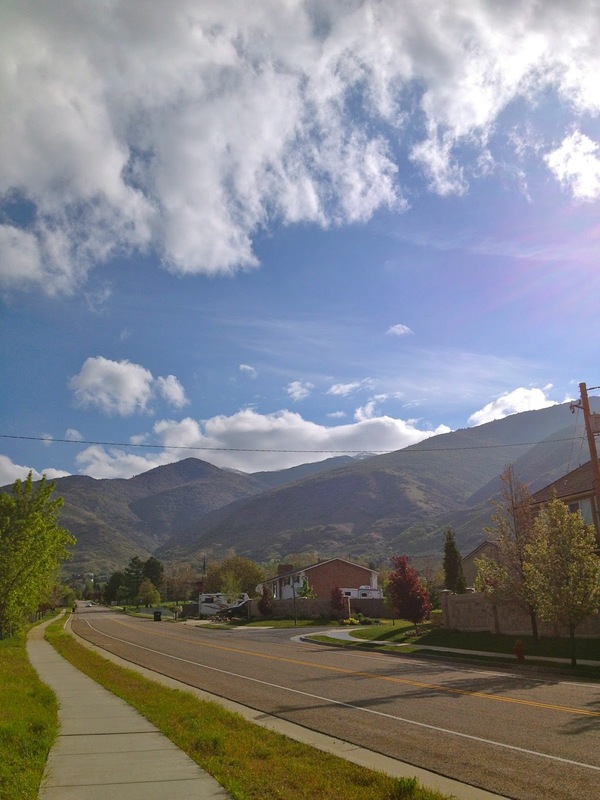 ^After coming out of the "Pedestrian Switchbacks" I rolled out right into another long slow climb up "Town Hall Hill" on Mountain Road in Fruit Heights. From the sidewalk to the road adds an extra element of danger, the dreaded coffee clutching rusher. Yet more smooth surfaces, but the cell phone juggling, coffee spilling housewife rushing to drop off the kids before yoga class might wipe out an unsuspecting biker with her SUV. 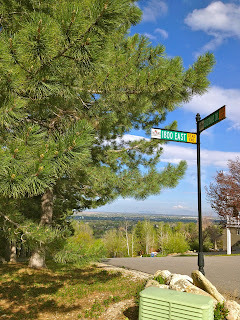 ^At the top of "Town Hall Hill" on Mountain Road is East Oaks Drive. It is a very steep neighborhood road that climbs up to the bench rather quickly. Again smooth surfaces are nice, but this climb will take it from warm-up to cardio pretty quickly. It gets the legs into game mode before jumping onto single track up on the bench. 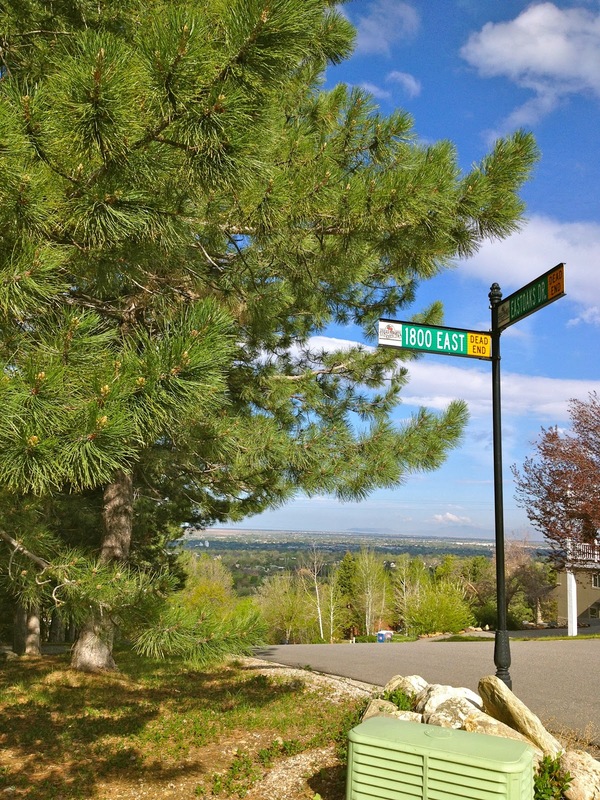 ^On the bench hang a left onto 1800 East and relish in the flat road rolling north to the dead-end trailhead after the parade of luxury homes with vast scenic valley views. ^I am not really sure what the sewer vent looking thing in the middle of the turn around is, but it marks the spot pretty well. The trail at the end of the road is the beginning of the dirt riding and drops down over Bair Creek to the north and begins to head upward. Swing past the reservoir and stay up to the right on the single track trail to go up and around the orchard. ^Above the orchard the reservoir and town come back into view. Once I came to this point I could tell where I'd come from and then there were a series of veer right headings to watch for. ^Then veer right again, and climb, climb, climb. 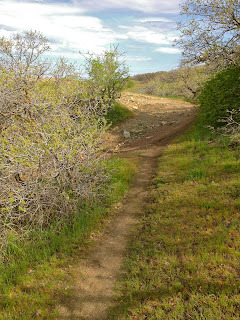 ^The second right leads up a scantily used single track on a spine that climbs damn near straight up the hill to the next natural bench. The trail is rugged, thin, and dare I say, a little bit of a sketchy climb. I figure the more I ride it the better it will get. I hope. 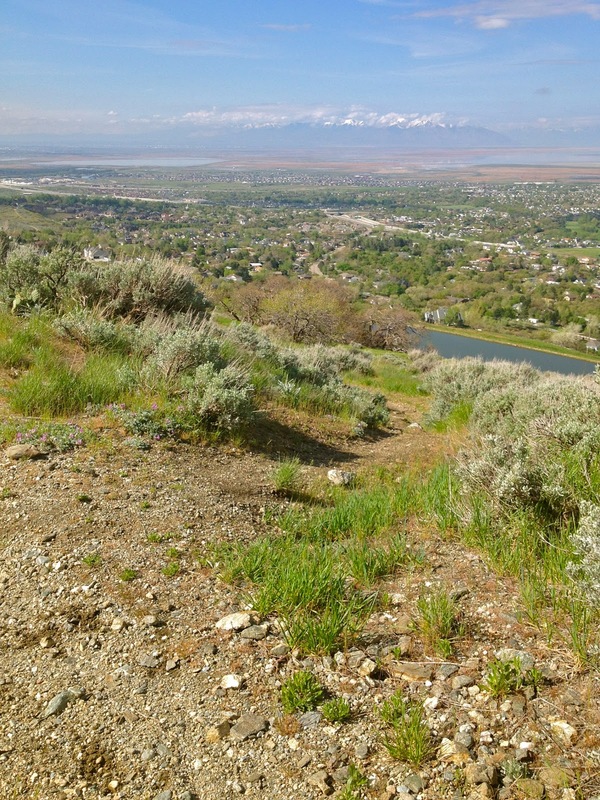 ^From the overlook to the link up with the more famous section of the Bonneville Shoreline trail above 200 North in Kaysville is an up and down affair that culminates with a little bit of a concerning traverse behind a gun range. It is harmless, but the bureaucratic disclaimer warning sign does give a little bit of pause I will admit. Someone would have to be trying to shoot me down to hit me, but these days I would not necessarily say that is all together impossible. Pretty cynical, I know. At the merging point pictured above the ride rolls north onto the relatively rather well known section of the Bonneville Shoreline that traverses north crossing the immensely popular Adam's Canyon trail in Layton all the way to the Fernwood neighborhood just shy of Interstate 84 in Weber Canyon. With a little bit of imagination and some tongue in cheek creativity I guess I can now officially call my place ride-in and ride-out real estate. I am not sure if a real estate agent would let me put it into an MLS listing if I ever sold my home, but at least I can have my morning coffee on my back patio giving my pup a pat on the head and then jump right into the saddle of my steel horse to roll out into the first climb of the day on the "Pedestrian Switchbacks".